A 68-year-old white male presented to the clinic with a painful right eye on August 18, 2017. He had a positive history of LASIK surgery OD and OS in 1998 and some complaints of intermittent dry eye. He stated that his right eye suddenly became painful and sensitive to light, with a constant flow of tears. 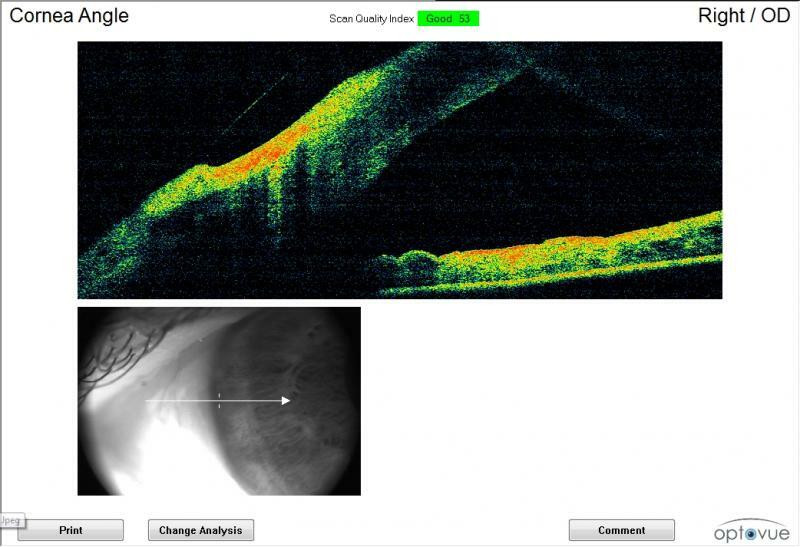 Upon observation, a very large corneal abrasion was apparent (figure 1, below), with a large epithelial defect. Due to the size and location (central) of the abrasion, he was started on Vigamox and fortified tobramycin. A Prokera amniotic membrane was also placed on the eye. He was followed carefully over several weeks, and the Prokera was replaced as needed. The abrasion and epithelial defect became smaller in size each day, and the patient’s symptoms mildly improved each day, too. 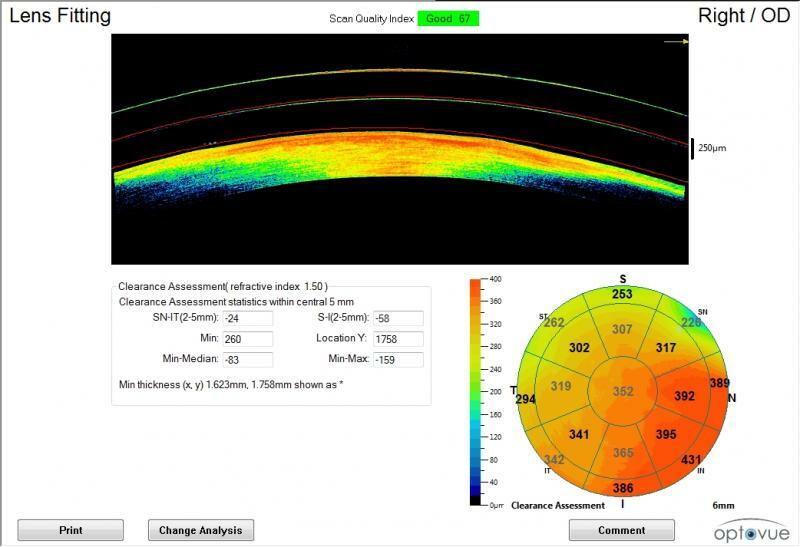 After the epithelial defect completely resolved, central corneal haze remained, along with an irregular corneal shape. After the epithelial defect healed, a steroid eye drop was given for the course of one month with proper tapering. Even with steroids, central corneal haze remained. Best corrected visual acuity OD was 20/400. At this time, a scleral lens was discussed in detail as an option for the patient. This device would attempt to correct his vision and at the same time provide a barrier between the cornea and the outside environment to prevent a recurrence. Ampleye/ 15.0 OAD/ 125 um toric periphery/ 8.45/ 3600 sag/ -2.00/ Optimum Extra clear. Upon dispense, the patient could see 20/70. He exclaimed that his vision was “great,” and he was happy with the comfort. 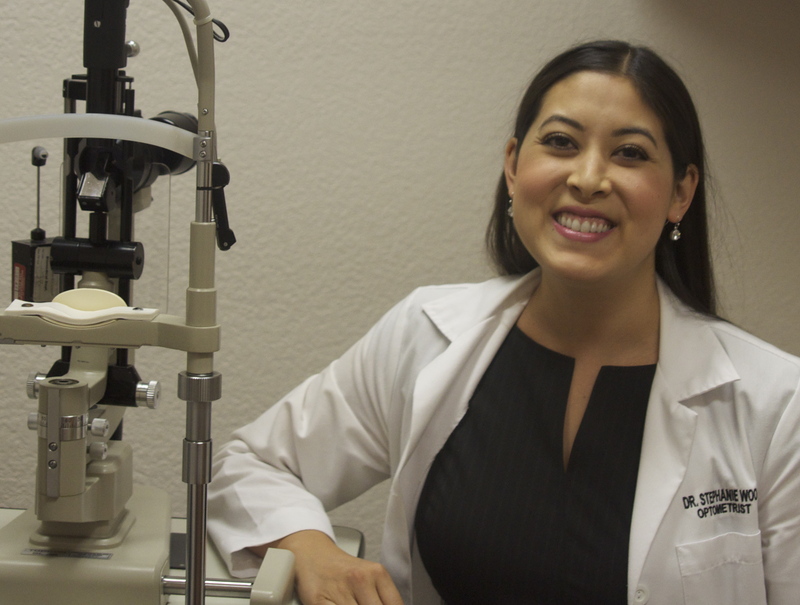 At each of his follow ups, he has not had any recurrences of corneal defects, and he remains happy with the comfort and vision through the lens.